Excellent for Conditioning the mind and body ! 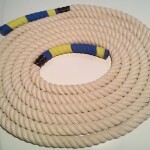 Body Solid’s fitness training ropes come in six sizes with varying lengths and diameters. 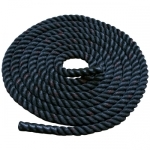 All ropes are made of durable poly-twine with wrapped finished ends for durability. 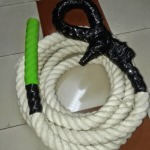 Rope training is growing in popularity in particular with professional athletes, personal trainers, health clubs, and home fitness enthusiasts. 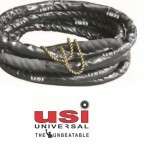 Fitness Training ropes are portable and can be used anywhere for both indoor and outdoor training. Training can be done with individual users or couples and is usually very intense involving the use of multiple muscle groups simultaneously while increasing overall strength, hand strength, and cardio endurance.